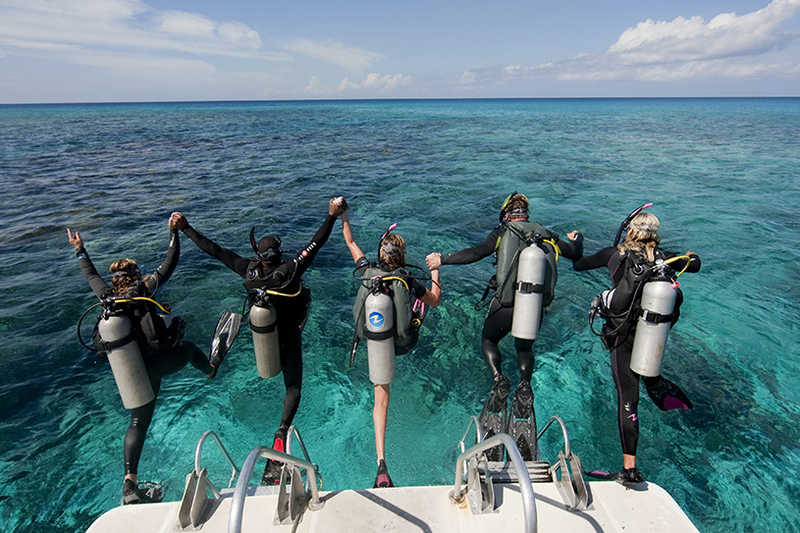 Join us on one of the greatest diving adventures! The Andaman Sea around Phuket offers some of the best diving in the world! Colorful corals, big schools of fish, a huge variety of macroanimals…fundives with SANTANA are always a highlight! 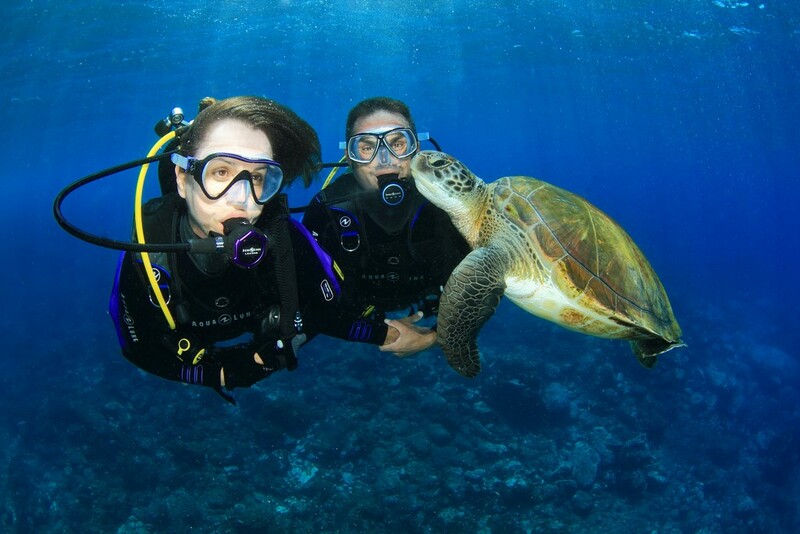 From Discover Scuba Diving to Master Scuba Diver, we offer all PADI Courses and a large variety of specialty courses. No matter if the two day cruise to the Southern Islands, the two weeks trip to the Burma Banks or the classic 4 days and four nights to the Similan Islands and Richelieu Rock, a liveaboard trip with SANTANA is always a very unique and special experience! I want to learn to dive! I am already a diver! It is finally here: The brand-new no-mount™ configuration! For past few years we have been working on an interesting project with top equipment manufacturers and the results might change diving for good! The no-mount technology uses advanced transmitters and dive computers, that will make sure that your range of motion underwater is not limited by the cylinder but the advanced artificial intelligence algorithm will make the tank follow you effortlessly. The specially manufactured no-mount™ cylinders have their own buoyancy control system, so you will never end up in a situation where the cylinder gets too buoyant. The most advanced models also have “hey, not so fast” and “time to go up”- features where your cylinder gently tucks you from the hose if you are ascending too fast or staying too long too deep. Multi-cylinder no-mount™ cylinder feature makes sure that you will have enough tanks following you around even for the most demanding decompression dives. When it is time for a gas switch the cylinder you need will simply come to you and offer the hose. In the case of no visibility or broken mask the cylinder will turn into autoswicth mode after 10 seconds! Introducing the world's first air-integrated, hoseless regulator, the next generation AF-X from Apeks! Available today from all authorised Apeks retailers. You'd be a fool not to want one!